The Katonah Village Library provides a quiet space, open to all members of the community that is conducive to reading and study. It offers a wide range of resources, from books to DVDs to internet access, and its meeting spaces are available. It strives to encourage and inspire cultural literacy, providing access to the best aspects of our culture, encouraging participation in that culture, and acting as a guardian of our culture’s history. 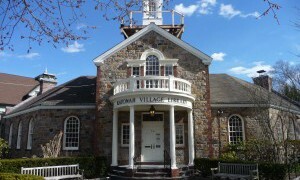 Katonah Village Library (KVL) is one of three libraries located in the Town of Bedford. KVL serves the Hamlet of Katonah and Town of Bedford residents as a community center with comprehensive programs and services that meet the needs of local residents. The library has been redefining its role as a public library to include expanded services and make the library a continuing vital part of the village life. Our warm, helpful staff serves over 400 visitors a day providing friendly and professional service to our patrons. KVL is a member of the Westchester Library System which includes 38 libraries in Westchester County thus giving us the ability to reach beyond our walls by means of the County-wide automated circulation system and the daily delivery system funded by Westchester County.